the lens flare is a bit messed up. i can see the green circle under the text. 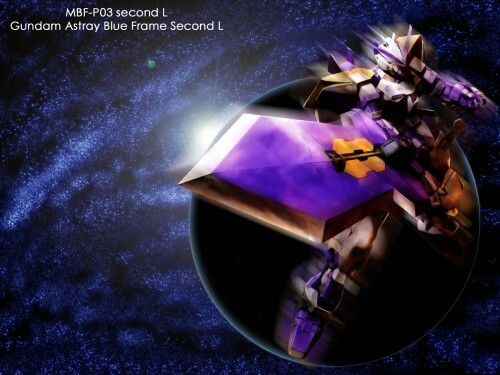 astray blue gundam looks so cool!! !